I’m driving home from work late the other night. I spent the last 6 hours in a hot and chaotic kitchen with a short tempered chef screaming tickets at me so I’m slightly restless and irritable. 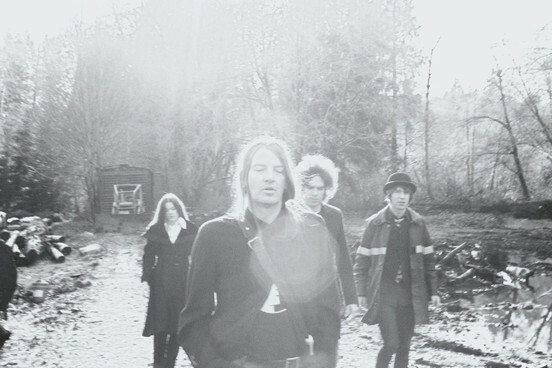 The Dandy Warhols (Website/Facebook) hooked me instantly with their song “Autumn Carnival.” Frantic guitar bursts mixed with a steady drumbeat and calming yet moody vocals complimented how I felt perfectly. This song is one of the hits and personal favorites off their newest and 8th studio album, This Machine released via Brooklyn based The End Records last month. The Dandy’s North American Tour is ending in Seattle at The Showbox June 17th. Tickets are ~$30, a bit spendy, but surely worth it. Get your tickets here.